At the biggest televised corporate quiz concert across the globe, 8,000 participants from over 120 organizations battled it out with wits for weapons. 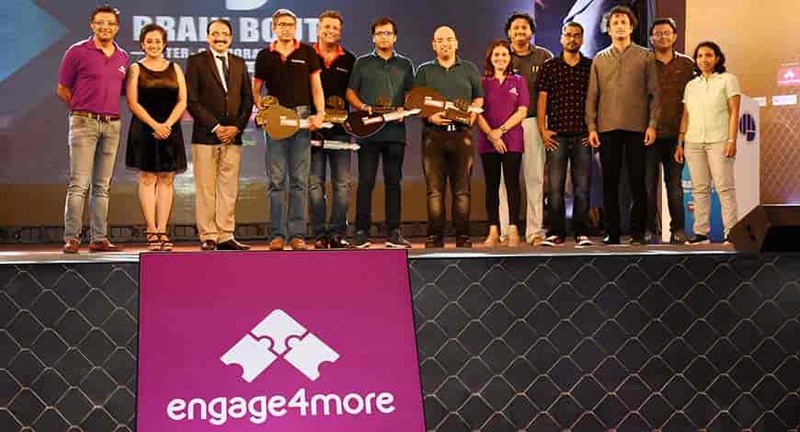 The participants arrived from 7 different cities for Brain Bouts winning title which Edelweiss took home for the second time in a row along with the trophy, TVS Wego, Saregama Carvaan and more. Unprecedented quizzing experiences zapped all as clues were given to participants through live acts like belly-dancing, tabla beats and more. But at the heart of the event were the participants and their passions. Competitors could select the topic they were most passionate about, ensuring that they shed their work avatars and loosened their ties. The highly experiential event quizzed all five senses, staying true to its name and really testing the brain. The participants were required to answer questions tailored to an experience of touch, smell, sound, taste and sight. From performances to experiences, the mega-quiz thrilled all with its groundbreaking quiz format. Mumbai’s Dublin Square in Phoenix Market City, Kurla, came alive as finalists such as Capgemini, Kotak Mahindra Bank, NEC Technologies, Pernod Ricard, Sapient Consultants, HDFC Standard Life Insurance, Atos, Trafigura, Ericsson India and more attempted to take home the Brain Bout trophy. This grand combat has ensured that in Brain Bout’s territory- Passion rules all and anybody with passion can put their name in the hat.